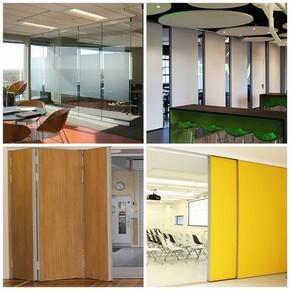 ModernGlide is the home for acoustic and movable walls, solid and glass, to meet every possible need. From budget bi-folding doors and high spec glass movable walls to interior and exterior sliding folding partitions with top-hung and floor support, ModernGlide can provide you with a full and professional installation with complete turnkey packages and options. ModernGlide provide full UK coverage, finding the best solution for a client’s budget, and offering fast quotes, without obligation. This has helped build a solid reputation with architects, contractors and fit-out companies. Acoustic movable walls, solid and glass, that provide smooth, stylish and ergonomic solutions for domestic & commercial projects.